Whilst our attendance at the UK trade shows through the year has ensured the home fires will continue to burn, our attention has also been focused on our international customer base. 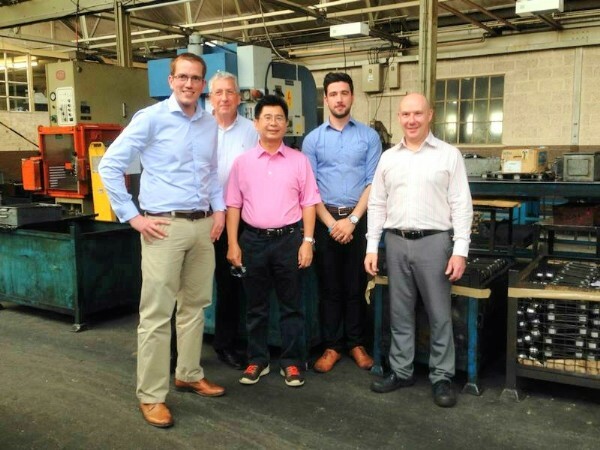 Following our attendance at a trade show in Malaysia in 2013,and over a cup of coffee, a relationship was formed with a businessman who worked on an international scale, but was fiercely proud of the core family business that forms his roots. Following a series of subsequent successful meetings, Mr Hendra was invited to our factory to witness first hand his order in production. Coming from a background of engineering support to the agricultural industry, his visit to Precision Chains provided a fantastic opportunity to show our customers first-hand the manufacturing process, not only strengthens the credibility of our relationships, it enforces our commitment to quality and the sustainability of our long term plans to continue to be an exporter of chains made in England. We are fiercely proud of what we achieve overseas, especially in the face of such competitive market conditions. One of the highlights is that we are able to manufacture chain here in the UK, export it to the Far East and still be competitive, continuing to achieve our goals of remaining a supplier of first choice for industry. Copyright © 2019 Precision Chains Ltd. All rights reserved.